There have been many conversations in recent years about how science career paths don’t all follow the trajectory of: degree –> PhD –> postdoc(s) —> lab head. Instead, scientists may find themselves moving into science communication, publishing, technical or other roles where they still consider themselves to be using their scientific training, while not necessarily doing research. Unfortunately, information about the wealth of different options now available isn’t always on hand at careers crossroads – such as when deciding whether to start a PhD or what to do after completing one. MySciCareer is a regularly updated resource of first-person stories about science careers that intends to flag up some of the diverse opportunities now available. So, is this an alternative science careers site? No, we don’t like the expressions “alternative”or “alternate” science careers. There are many ways in which to use science as part of a job and MySciCareer is all about highlighting this. The stories we post or link to cover a variety of careers: academic research, education, publishing, industry, business, writing and others. MySciCareer is put together by Eva Amsen and Lou Woodley, both biochemists by training, but now working in science publishing where they focus on science outreach and online science communications. They’ve worked on various projects together in their free time, including organising two editions of SciBarCamb – a two day science/tech unconference in Cambridge – and various science tweetups in London and Cambridge. They remain firm friends, at least in part, thanks to their shared love of cupcakes and squirrels. Eva is a science communicator, currently working as Scientific Engagement Manager of the Transforming Genetic Medicine Initiative, at the Institute of Cancer Research in London. She spent several years working in similar roles for scientific publishers, where she worked as Outreach Director for F1000Research, Community Strategy Manager for F1000, Online Editor at Development and Community Manager for The Node. Eva holds a PhD in Biochemistry from the University of Toronto, where she studied the cellular regulation of skin pigmentation, while spending her spare time freelance writing, blogging and volunteering for science outreach organisations. She also co-instigated the very first SciBarCamp in Toronto in 2007, and went on to co-organise several other science unconferences in Canada, the USA, and the UK. Eva is a musician as well as a scientist, and blogs about the overlap between these fields at easternblot.net. You can find her on Twitter as easternblot. 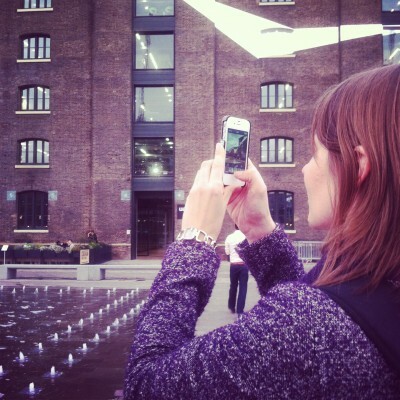 A common Lou pose – Instagramming. Photo by Christine Ottery. Lou studied for a degree in Natural Sciences at Cambridge University, before moving to the EMBL in Heidelberg and from there to the CRG in Barcelona, where she completed an MPhil in alternative splicing. Back in Cambridge, she started a PhD in bacterial communication but, after founding and serving as Managing Editor of BlueSci magazine, she realised she was more suited to science communication than lab-based research. 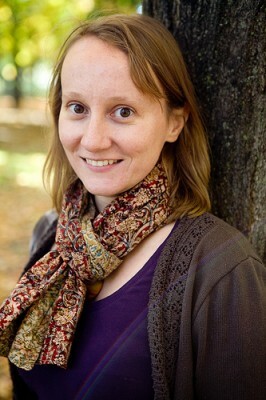 She swopped her labcoat for a laptop and spent five years at Nature Publishing Group organising events such as SpotOn London and NYC, and championing social media and science blogs, particularly for discussing all things Open Science. Lou’s now the Community Engagement Director for Trellis, the new communication and collaboration platform from AAAS, as well as Program Director for the AAAS Community Engagement Fellows Program which will support scientific community managers from January 2017. She remains fascinated by the intersection of people, science and technology online, and blogs at Social in Silico. You can find her on Twitter as LouWoodley.